The former Central Tech High School on S Warren St. closed in 1975. It could re-open in the fall of 2021 as CNY's first STEAM school. A look out the main doors toward Warren St.
One of the original ornate staircases. These plans from December will largely be followed for the layout of the STEAM school. This is the first floor. Typical of the era, the building has many windows designed for maximum air circulation. Superintendent Jaime Alicea, Sen. Rachel May, Sen. Majority Leader Andrea Stewart Cousins, and Deputy Mayor Sharon Owens gather on the stage of the Lincoln Auditorium. The auditorium seats nearly 1,900 people. The seats are original. Despite some obvious signs of water damage, seen here in the auditorium, officials The nearly 120 year old building is in very good shape. You can see the ITC school next door. Plans call for them to be connected. State Senate Majority Leader Andrea Stewart-Cousins joined other leaders Friday for a tour of the proposed future site of Onondaga County’s Science, Technology, Engineering, Arts, and Math, or STEAM school. State Senate Leader promises to support the anticipated Science, Technology, Engineering, Arts and Math school. The former Central Tech High School was built in 1900, but has remained mostly vacant since closing in 1975. Stewart-Cousins promised her support as the details come together. 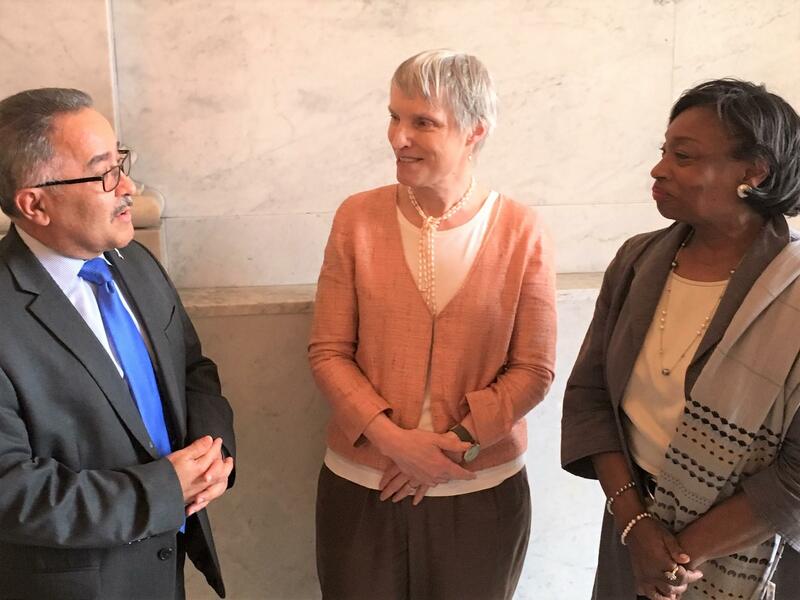 SCSD Superintendent Jaime Alicea greets Sen. Rachel May and Senate Majority Leader Andrea Stewart-Cousins in the marble lobby of Central Tech. "I think they're still trying to assess the costs, and obviously there's still a lot of elements. If there are legislative things we have to do, we will work towards making sure we are part of the coming to fruition of this great vision." This school is part of the larger Syracuse Surge initiative. Superintendent Jaime Alicea says the school will have a capacity of more than one thousand students; more than half will be from Syracuse and the rest from across Central New York. He says they’ve received letters of support from 12 other districts. "We don't have a performing arts, a visual arts program for our kids. We want to make sure that the program is not only for students in the City of Syracuse, but also for students in Central New York." A relic of the past? 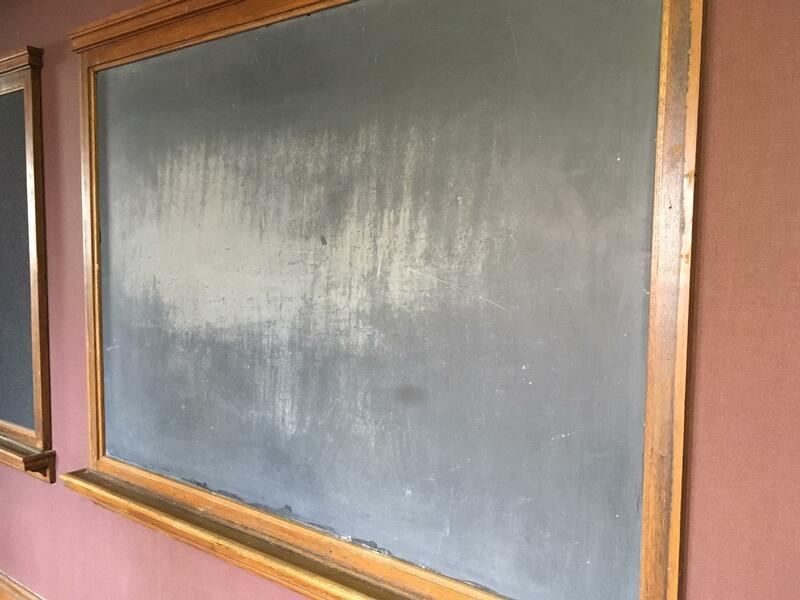 A chalkboard hangs in one of the more recently remodeled rooms off the main lobby. Syracuse Deputy Mayor Sharon Owens says the focus is to bridge the gap between technology and arts in the workforce. "We didn't transition our workforce. Not only are we going to prepare the existing workforce, but preparing the future workforce in this grand historic building." The STEAM school is set to be introduced for the 2021-2022 school year. The latest Downtown Progress Breakfast gave Syracuse Mayor Ben Walsh an opportunity to highlight educational and economic projects he says can help transform the city in the future. Mayor Walsh highlighted economic and technological progress at annual event. The City of Syracuse is getting a boost in its efforts to become the first large municipality in the state to test Smart City technologies. The New York Power Authority has awarded a half million dollars to the project as part of the larger Syracuse Surge revitalization plan. Syracuse's pursuit of becoming a Smart City is getting support from the New York Power Authority. "I am please to report that the state of our city is stronger than when I stood before you a year ago," Walsh said. Mayor Walsh's State of the City Address revealed the details of Governor Cuomo's "Syracuse Surge" plans.